Craft stick is strong and fast bonding. No-mess and no-leak. Cleans off hands and household surfaces with soap and water. Great for papers and photos. Also good for fabrics. Acid-free. Non-Toxic. 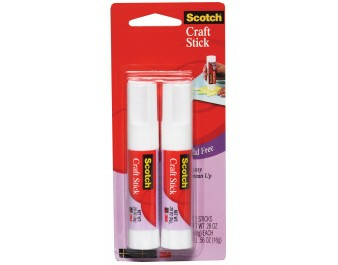 This package contains (2) 0.28oz Craft Glue Stick.